NASA’s New Horizons is screaming in (well, it would be screaming if there was some air) on Pluto this week. No brakes! Can’t stop! If nothing goes wrong, we’ll get some pretty good images, snapping away like mad. In contrast to the quick and “whatever we can grab” Pluto flyby, Dawn is doing a slow and very thorough survey of Ceres. Currently in a 4400 km orbit, Dawn is finding a lot of interesting geography, which will have to be puzzled through in the ensuing years. Now Dawn will spiral yet lower, to gather much more high resolution data. This ion drive thing is awesome! And out at 67P/CG, Philae seems to be alive, but communication to the orbiter is spotty. It’s great to hear that the lander has survived (seriously good engineering job), though it isn’t clear we’ll be able to get much information back. In the solar system this week, the New Horizon probe is swooping in on Pluto, for a screaming flyby, with closest approach on 14 July. In the past month, the probe has seen several moons, albeit briefly. Data from the New Horizon probe has been augmented by observations from the Hubble Space Telescope, which is obviously closer to Earth, but also way larger and more capable. This study has indicted that the smaller moons of Pluto / Charon have quite chaotic orbits around the twin planets. I guess that’s not too surprising, though I wonder if these moons are recent acquisitions. I mean, Pluto has been there a long time, so things should have settled down by now, no? I expect we’ll learn more from the flyby. In the coming weeks, the sunlight on 67P/CG will be increasing even more, and it is possible that Philae will be able to charge its batteries. 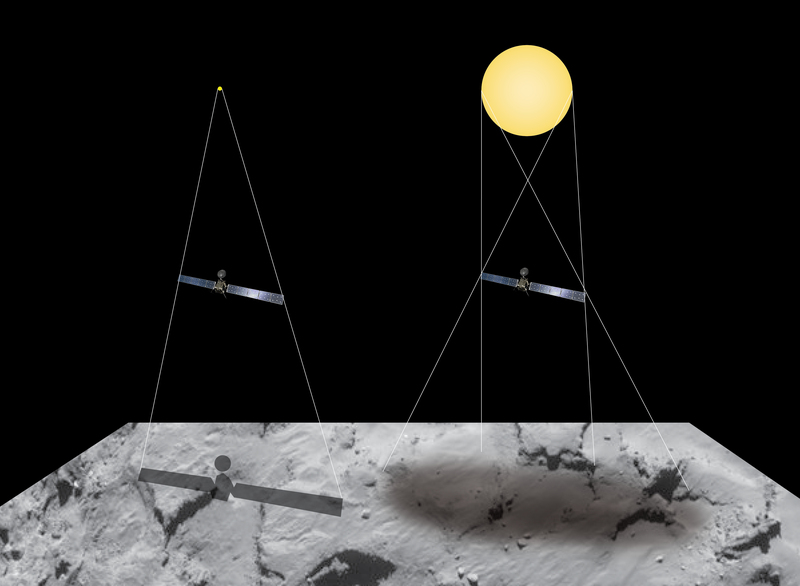 If that happens, and the systems have survived months of extreme cold, then Philae will wake up and try to contact the Rosetta orbiter. Even if we don’t get any science, I think we all want the lander to wake up, and show us just how well it was built! Out at Ceres, “deep into the main asteroid belt between Mars and Jupiter”, the Dawn spacecraft has been orbiting and amassing images and measurements for the past month. 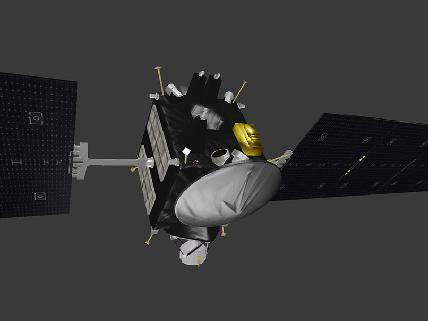 Last week, Dawn completed a maneuver into a lower “survey orbit”, about 4400 KM altitude. It is recording and transmitting images from this second orbit, and later it will move lower still. I would note that the Dawn team is rightly proud of their ion propulsion system, which has made possible this incredible feat. The Dawn spacecraft has entered the first mapping orbit (13,600 kilometers altitude), so “Let’s get Dawn to business” says Marc Rayman. As Rayman recounts, achieving orbit is the culmination of an awesome voyage, enabled by a seriously cool ion drive. It also is no flyby, the spacecraft will “linger” in orbit for a year or more, collecting tons of data. A cool animation (with goovy ion engine) shows the final approach. In another groundbreaking achievement, I’ll mention that the Planetary Data System has been going since before the World Wide Web (at least since the late 1980s). This archive provides free public access to data and reports from many space missions. The PDS is headquartered at NASA Jet Propulsion Lab, but has been a federated library since the beginning. Participating nodes curate specialized data and services, and use standard formats and protocols to assure interoperability. This sounds familiar, but PDS had to build it from the ground up. At the beginning, there wasn’t even the Web. The PDS is one of the worlds great repositories of science data, and an example of open data access. Much of todays open data and big data technology is built on foundations pioneered by PDS. Check it out. It’s the real deal. As we follow our space probes this spring, we are reminded how much we are all spoiled by Hollywood spaceships that not only make cool “whoosh” sounds, but magically pop between interesting places in minutes without spending any boring time getting there. Unfortunately, real space travel is much slower and trickier, and robot spacecraft aren’t as magical as seen on TV. In the past few months, we have seen NASA’s Dawn probe arrive at Ceres and ESA’s Rosetta at comet 67P/CG, both of which took a decade to get there. And even now that they have “arrived”, things are still “exotic” by Earthbound standards. Dawn arrived at Ceres last month, achieving gravitational capture on 6 March. But this is a long, slow mission, and the spacecraft has been slowly looping around in a long spiral in, to a target 15KM circular orbit in a few weeks. Furthermore, it has been on the dark side of Ceres which, out there, is really, really dark! So no imagery until the mapping orbit is achieved. Marc Rayman gives us a ton of cool information about real life out there in Ceres orbit: reconfiguring the spacecraft from travel to observation mode, dealing with the loss of 2 of 4 maneuvering flywheels, calibrating the camera and so on. Now that Dawn is there, it will begin a long campaign of observations, spiraling in to successively closer orbits as the months go by. And this will be the end of the mission: she will fade out and someday fall onto Ceres. The Rosetta spacecraft has been swooping in for close passes to comet 67P/CG, which is heating up and developing an atmosphere as the ice steams off. This means that these passes are actually quite dangerous for the deep space adapted Rosetta: she’s not intended to operate in an atmosphere. 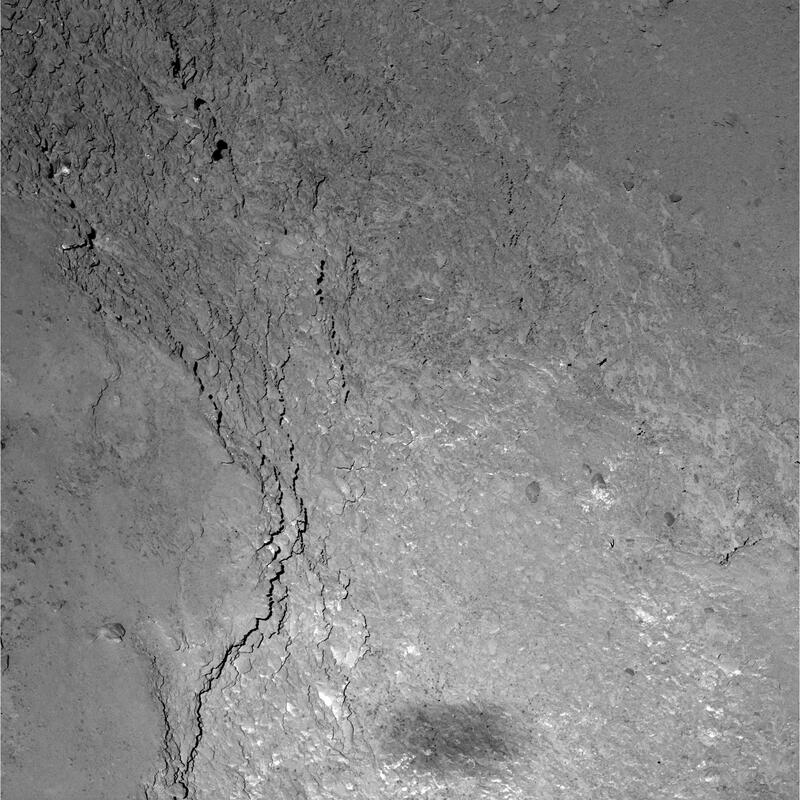 Example of Rosetta’s recent flyby trajectories at Comet 67P/C-G. Credit: ESA. The mission has reported on problems they have had, which are kind of interesting. The big problem has been that the automated star finder system has been confused by all the ‘bright spots’ from the escaping gasses. The star finders continuous watch the sky for familiar groups of stars, which are used to keep the spacecraft on course and oriented correctly. The latter involves, critically, pointing the antenna at Earth. Apparently the last pass encounters so many false “sightings” that the star finders got lost and the antenna skewed away from target Earth. The signal was lost for a while and data could not be transmitted. The spacecraft recovered, though not before entering a “safe mode” partial shutdown. I don’t know about you, but I’ve always be awed by guide star astrogation—it is so elegant and so universal. The spacecraft knows exactly where everything is…. And for that matter, orienting spacecraft with flywheels just blows my mind–again, so elegant, so flat out Newtonian. As discussed earlier, the Rosetta spacecraft swooped low past comet 67P/CG on 14 February. Apparently, the images have been downloading ever since. It is easy to forget that Rosetta is a long way away, and has only so much bandwidth! ESA released some imagery this week, including a close up that caught Reosetta’s shadow on the surface. This goes to show you just how close it passed. Meanwhile, in another part of the solar system…. NASA’s Dawn spacecraft is closing on Ceres, as planned, and entered orbit Friday. The arrival is hardly climactic, as the spacecraft approaches via a sedate spiral. There is considerable interest in some “bright spots”, that are now quite visible. These areas are really, really bright compared to the rest of the surface. What are they? Perhaps an impact or other event has cause ice to melt, in a “volcanic” cloud of vapor, leaving deposits or exposed undersurface. The NASA spacecraft, “Dawn”, will enter first orbit around the asteroid/dwarf planet Ceres next week. Cool! This week images were taken to, among other things, figure out exactly how Ceres rotates. I hadn’t thought about it, but if you want to survey a planetoid you want to use a polar orbit—which requires knowing where the darn poles are. Duh! And that isn’t easy to tell until you get close enough. Once in orbit, Dawn will image the whole surface of Ceres in a range of frequencies. From the recent observation of unexplained bright patches, as well as earlier hints of water vapor, the team will be looking for evidence of a subsurface ocean. That would be kind of interesting. By the way, NASA has released a 3D printable model of Vesta, mapped by the Dawn mission on its way to Ceres, and also a 3D printable model of the spacecraft itself. What a year for planetary exploration! ESA’s Rosetta diving into the atmosphere of a comet, NASA’s fly by of Pluto, and now NASA’s “Dawn” spacecraft will reach Ceres in the next month. After visiting Vesta for months on its way out in 2012, the Dawn spacecraft is approaching Ceres. 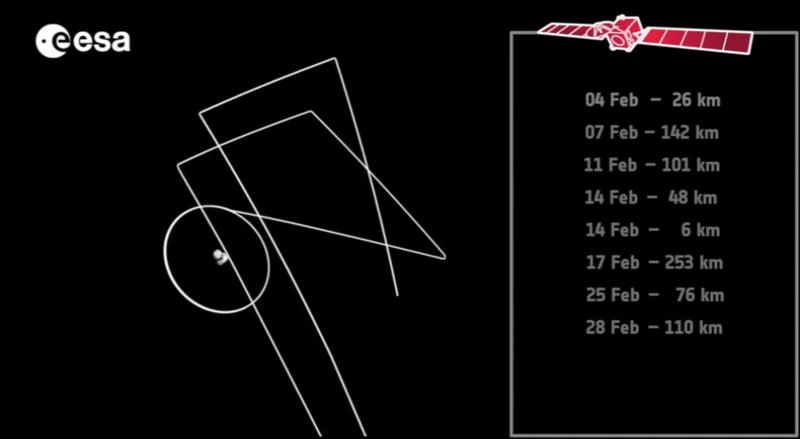 It will spiral in towards the asteroid/mini planet during March, and reach a close orbit (375 km) and return visible and IR imagery and gamma ray data starting in April. This exploration is a groundbreaking use of an ion drive, which has enabled unprecedented periods of (low) thrust, many years worth. It also made it possible to reach Vesta, maneuver into orbit, and then depart orbit and reach Ceres, where it will orbit. All on one voyage! These planetary missions share several very impressive features. They are long time scales (a decade and more), which require the spacecraft to hibernate for long times and then wake up. In deep, deep cold, far, far from home. Awesome! And they are semi-autonomous systems, working beyond any hope of human assistance. The fact that the software actually still works in this situation is just plain miraculous.